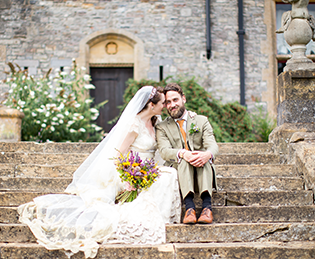 Landed Weddings offer an impressively luxurious portfolio of country house venues. 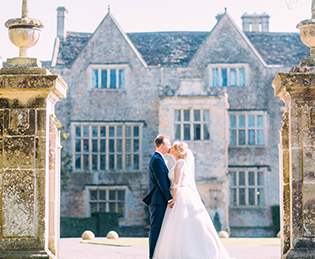 You will find country house venues to suit all budgets, from large moated manor houses to country cottages. Also, many properties offer flexibility and allow couple to host their wedding indoors or in a marquee. So all you'll have to do after you've chosen your venue is polish your tiara and tell the butler to pop the Champagne on ice! We take a look at a selection of venues from across the UK – prices start from the below and are based on bookings for an entire weekend. Grade I listed Howsham Hall located near York is the perfect location for your Wedding Day. Stay with friends & family for a fabulous weekend of celebrations. 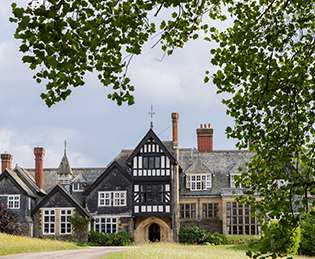 Our stunning Grade 1 16th-century country house and its 1,500 acres is available for your exclusive use. Owned by the Montgomery family - world famous for their Cheddar cheese - the magnificent Court and its parkland with 25 bedrooms, large dining hall, ballroom, various ‘break-out’ rooms, lawn tennis courts, lake, roof-top golf tee, indoor swimming pool and spa, is available throughout the year. 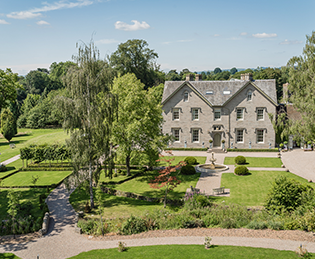 Set in the picturesque village of Eardisley, Lemore Manor dates back to 1640 and was built originally as a hunting lodge for the Bishop of Hereford. 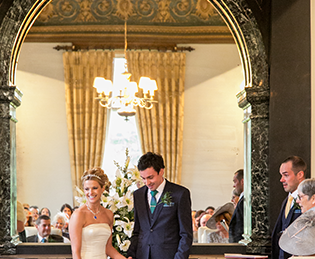 Our impressive venue plays hosts to weddings, celebrations and corporate events. We offer unique experiences that will be remembered for years to come. Building strong relationships with our clients ensures fun not only during your special event but also during the planning process. There is a lavish feel throughout the property, from designer furnishings, the new light filled Orangery, the ceremonial Coach House and the stylish boutique bedrooms for up to 38 guests. 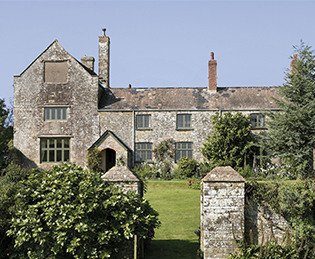 Huntsham Court is an historic private hire country estate with a manor house and gardens and a relaxed ethos. Situated in the beautiful rolling Devon countryside on the borders of the Exmoor National Park and close to Somerset. 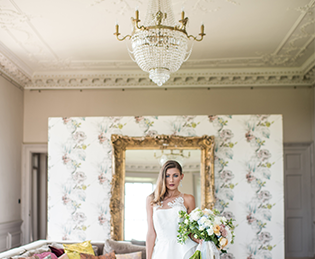 We are a leading award-winning, private hire country estate wedding venue & party venue in the South West, sleeping up to 82 people across 35 luxury bedrooms for the ultimate, totally private, big occasion. Magical, breathtaking, perfect and amazing are just some of the words our visitors use to describe The Ash Barton Estate. Nestled in the beautiful North Devon countryside, Ash Barton is well known for its laid-back atmosphere and easy-going attitude. Unlike other large houses to hire for weddings, take advantage of our party house for hire, have a family holiday or corporate event exactly how you want it. It’s a completely blank canvas for you to put your own creative stamp on. Relaxed and inviting, Ash Barton Estate is a little slice of heaven in the West Country. Vows and Venues Magazine would like to thank the advertisers that appear in this publication for their support and wish them continued success. Vows and Venues is an independent publication and has no affiliation with any other organisation. The views expressed in Vows and Venues do not necessarily reflect those of the publisher E.A.L. and its employees. Similarly the efficacy of any products and services featured are the sole responsibility of the supplier/manufacturer.